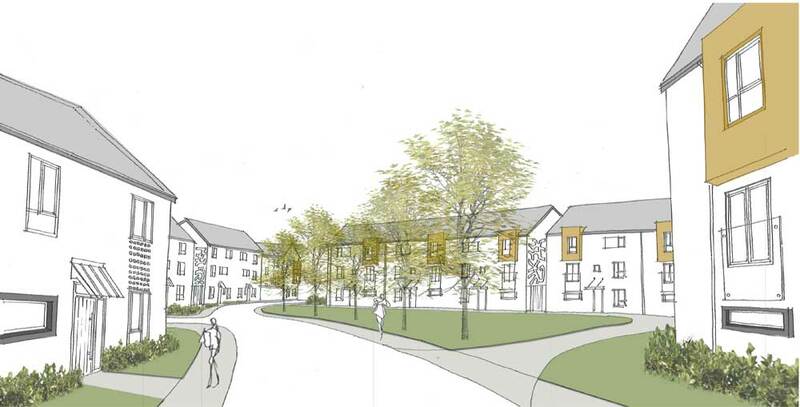 Great Yarmouth Borough Council is to consult over a proposed housing scheme at Beacon Park, which would provide distinctive high quality homes, close to the enterprise zone, while supporting the continued sustainable growth of the borough. The council is seeking to bring forward, on a site allocated for housing, a contemporary scheme of around 275 homes, with a mixture of houses, flats and bungalows in a desirable woodland setting. These would be mainly homes for sale, with the first of three proposed phases comprised of 54 homes. The council-led project supports one of the borough council’s priorities, informed through the recent borough-wide public consultation, which is to work towards an attractive mix of good quality housing, that is fit for purpose for all and meets both the borough’s existing and future needs. The scheme would also support sustainable economic growth, another top council and public priority. Before seeking outline planning permission for the whole scheme and detailed planning permission for the first phase, the borough council is holding a drop-in public consultation event at Ormiston Herman Academy, Oriel Avenue, on Wednesday, January 20, from 4pm to 7pm. This is a chance to inspect the indicative masterplan, ask questions and share views. Available at the event will be representatives of master-planning architects Ingleton Wood, who worked with a cross-party group of borough councillors to put together the plans. The proposed development, to the north of the new A12/A143 link road, is close to but separate from the successful enterprise zone, which is targeted at high-tech and light industrial businesses in the energy sector. It would be set out around a central road, with homes laid out in small cul-de-sacs. The scheme would provide at least 10 per cent affordable housing, in line with local planning policy. Whilst there would be some hard landscaped communal spaces for informal play and other community activities, the proposed scheme makes the most of the woodland setting. The existing woodland walk footpath and green space around the site would be maintained and enhanced. The developer would also contribute towards enhancing infrastructure in the area, including open space, schools and play areas. Woodfarm Lane would be upgraded to enable two vehicular access points to the development. Residents would also benefit from other planned or existing infrastructure in the area, including the newly-opened link road and associated foot and cycleway, footpath links to the hospital, proximity to the enterprise zone, and links to the nearby Persimmon Homes development, which is planned to have a local centre, primary school, formal open space and further business space. Cllr Ron Hanton, the cabinet member for transformation and regeneration, said: “This contemporary development, if approved, will provide distinctive high quality housing in a desirable woodland setting, a short walk from the growing enterprise zone, while further supporting economic growth in the borough, which are both council and public priorities. “Beacon Park is the major growth area in the borough, being developed with a sustainable mixture of homes, jobs, community facilities and other infrastructure, which is of benefit to communities and businesses, both in the immediate vicinity and across the wider borough.